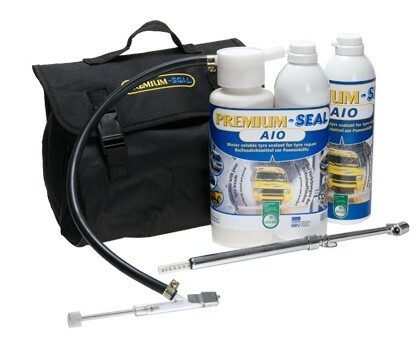 the power-repair kit for transporter, camper, SUV * re-mobilize your vehicle within only 4 minutes * for transporter / camper-tyres with pressure up to 75 psi There is no simpler, faster and more effective way to repair a tyre puncture - and to continue your journey after only 4 minutes. There is no simpler, faster and more effective way to repair a tyre puncture - and to continue your journey after only 4 minutes. 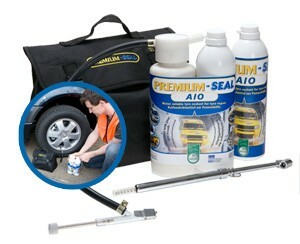 While tyre repair kits have been common for a while for passenger cars, they are starting to find more and more usage for transporters, campers and SUV.